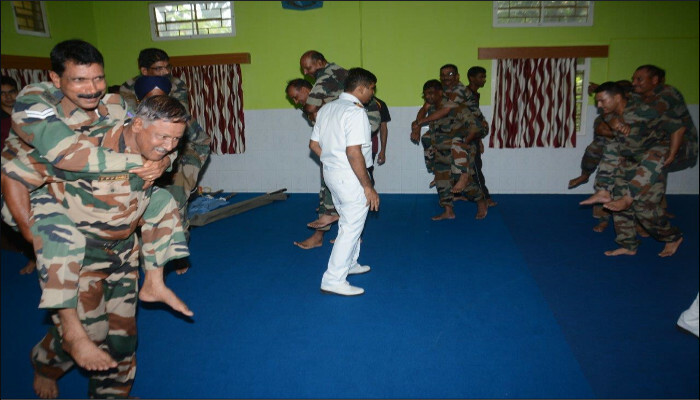 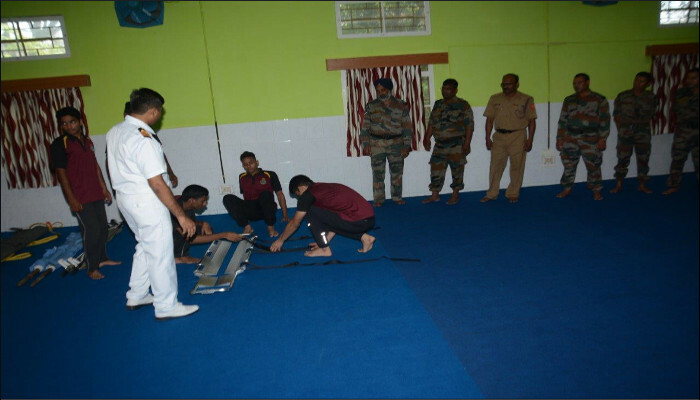 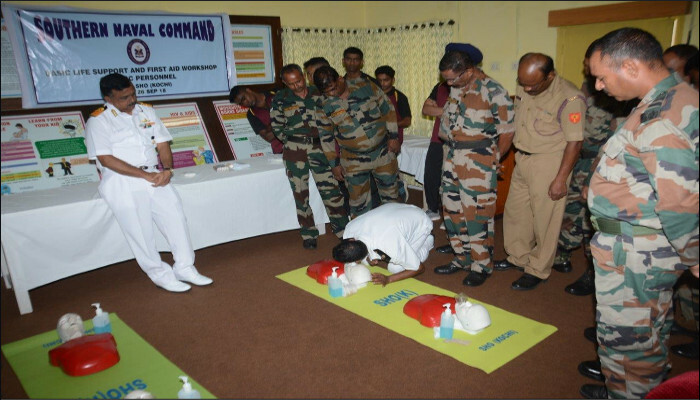 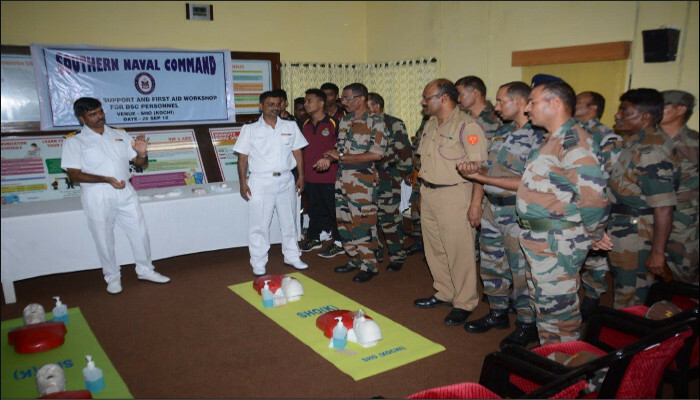 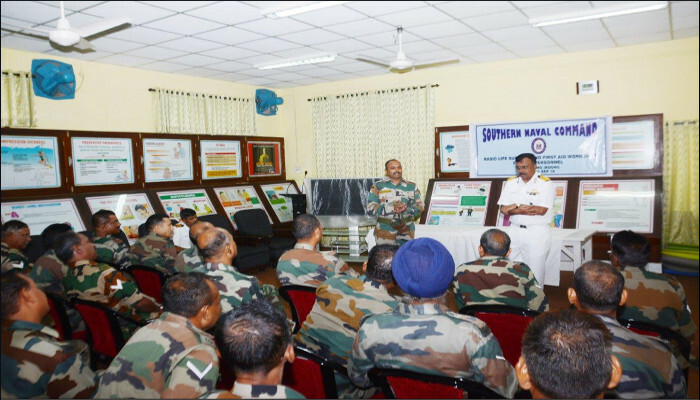 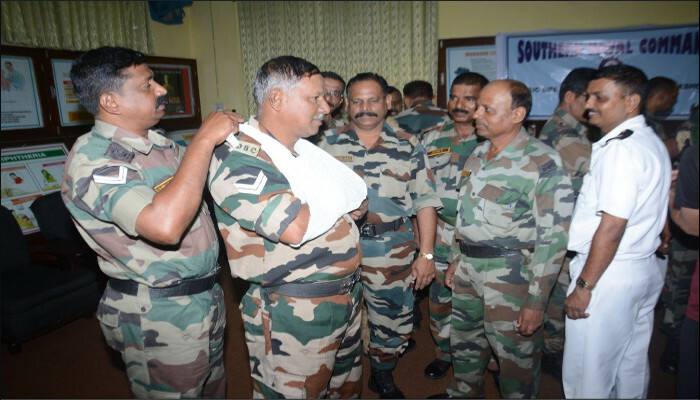 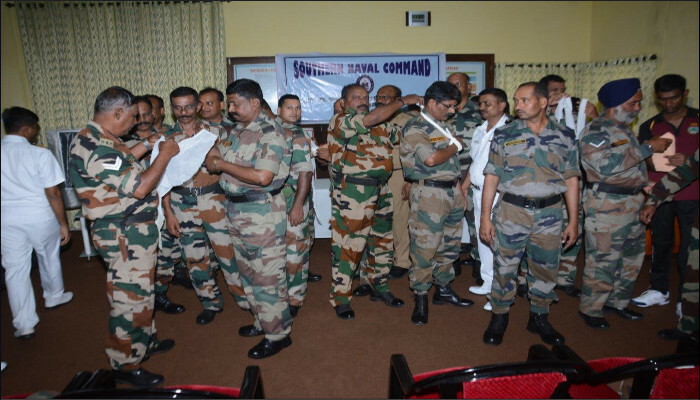 A Workshop on First Aid and Basic Life Support for DSC personnel borne in INS Venduruthy and Garuda, MO, BVY and WEU, Kochi was conducted at Naval Base Kochi on 26 September 2018 with the aim to make them self-reliant in administering first aid. 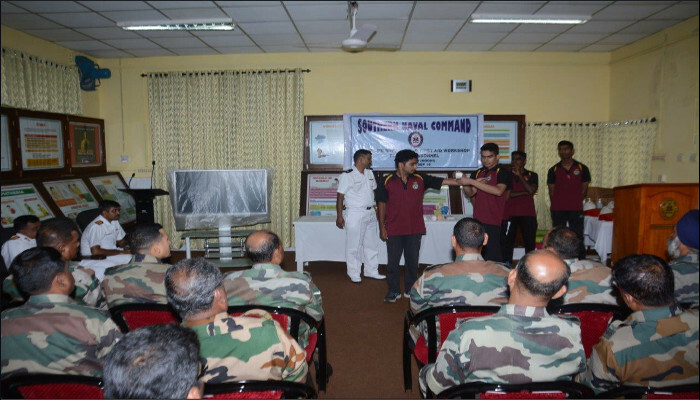 The Command Medical Officer, HQSNC attended the Workshop and delivered the introductory address. 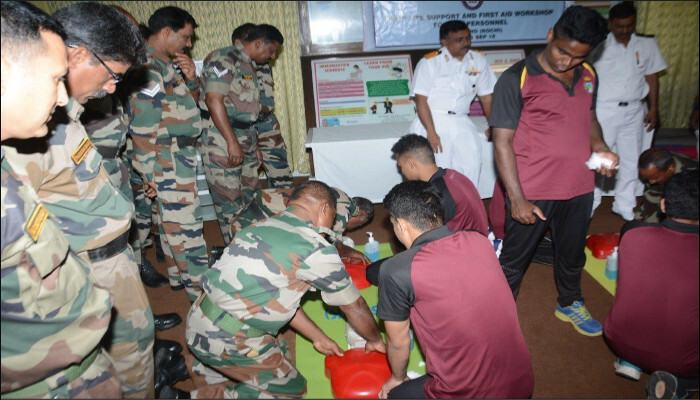 During the workshop, 30 DSC personnel were trained in first aid, causality evacuation and CPR with hands-on practice on mannequin and demonstrations.